In just a few more hours anyone watching Kona coverage is going to watch a UCO (unidentified cycling object) go by, piloted by Andy Potts. More plane than bike – this vehicle makes the new Specialized Shiv look almost UCI legal by comparison, this UCO – also known as the Ceepo Shadow-R is a vehicle with a purpose. 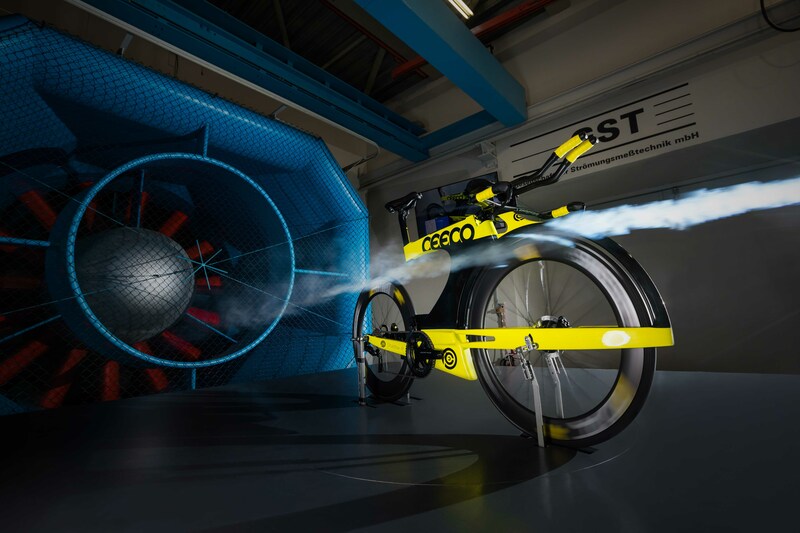 Make the fastest human powered triathlon legal 2 wheel vehicle possible. 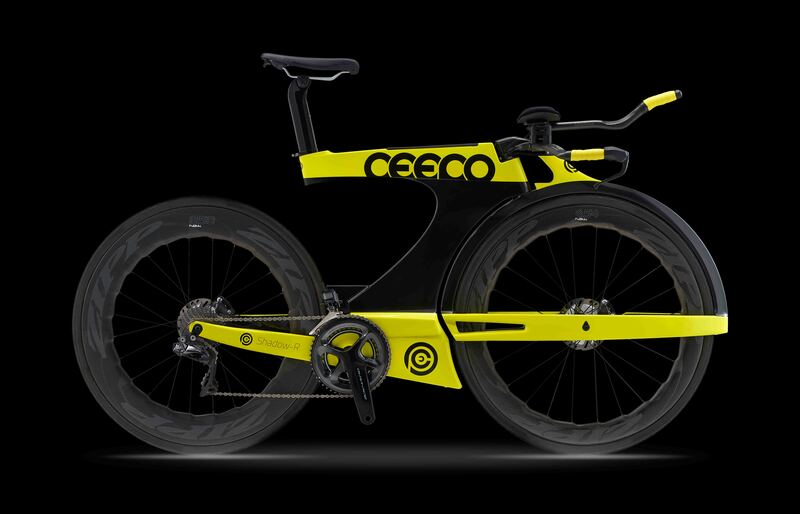 And Ceepo certainly delivered. 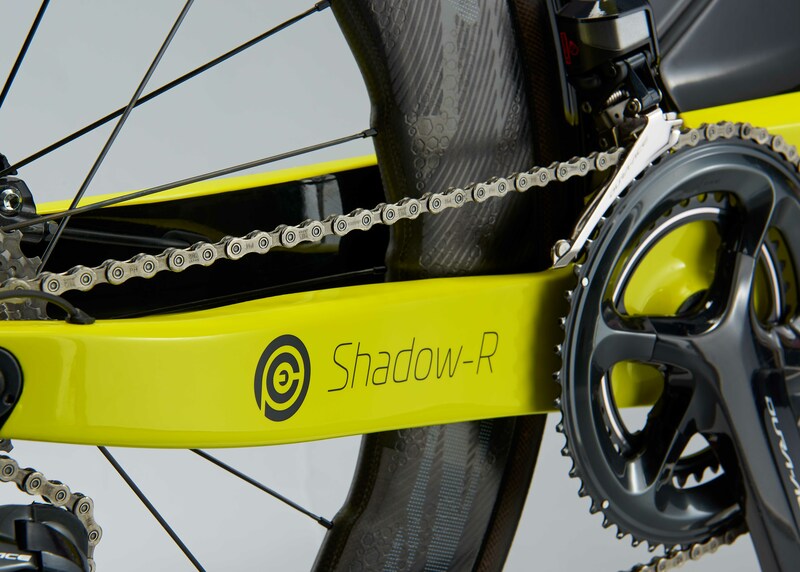 We first took a look at the Shadow-R back in July during Eurobike. 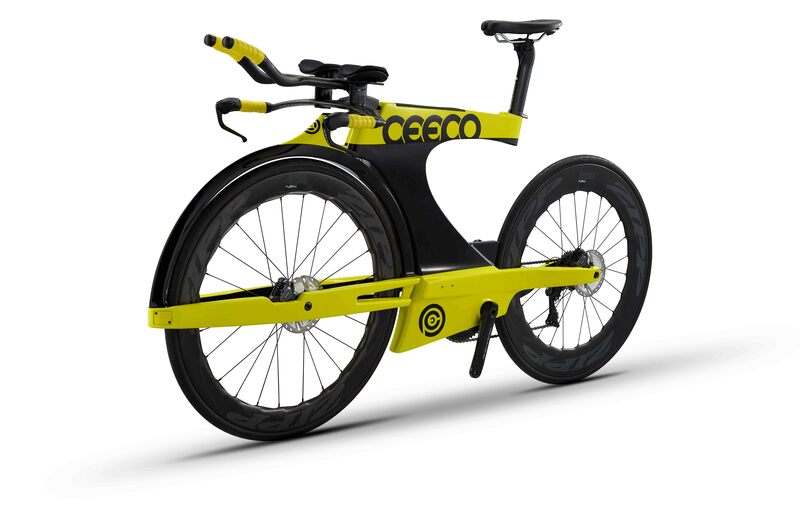 Since then we had a chance to speak to Marc-Andre from Ceepo and learn more about the development of the Shadow-R. Development of this bike happened over a 3 year period. The number 1 goal was to remove the leading edge while number 2 was hiding the tires. To do this Ceepo prioritized clean air interaction above all. And the final solution was to hide everything behind the “fork”. But don’t call that fork a fairing. The central beam as it is called is integral to the structure of the bike. And just happens to hide the front disc brake. 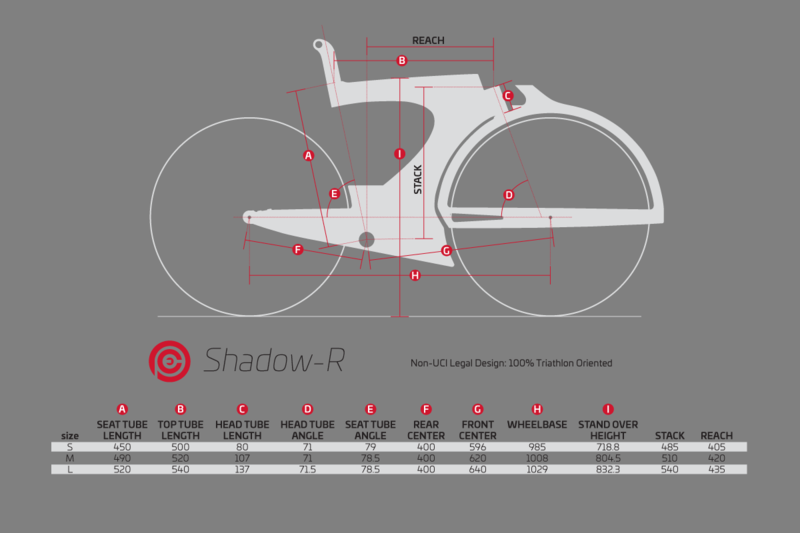 What is interesting is even with some a revolutionary fork the Shadow-R can still accept most stems and bars on the market. While beam bikes have a (somewhat deserved) question of flexibility. 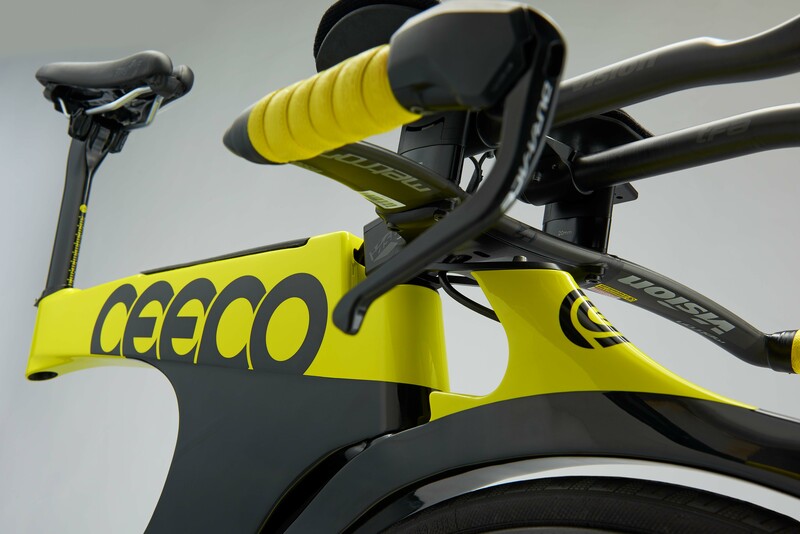 Ceepo claims that the bike has a serious sense of stiffness at both the toptube and bottom bracket. For your storage needs there is an integrated bento box in the top tube. And underneath the bottom bracket is tool storage. And while we haven’t ridden it yet, Ceepo says it only takes 100k to get used to the steering and feeling of the bike. The front is heavy, but they have been riding it since March and haven’t experienced any handling difficulty. They spent quite a bit of time testing for toe overlap in a turn but did not find any issues. In size medium the frame weighs in at 2,230g while the fork is 1,450g. 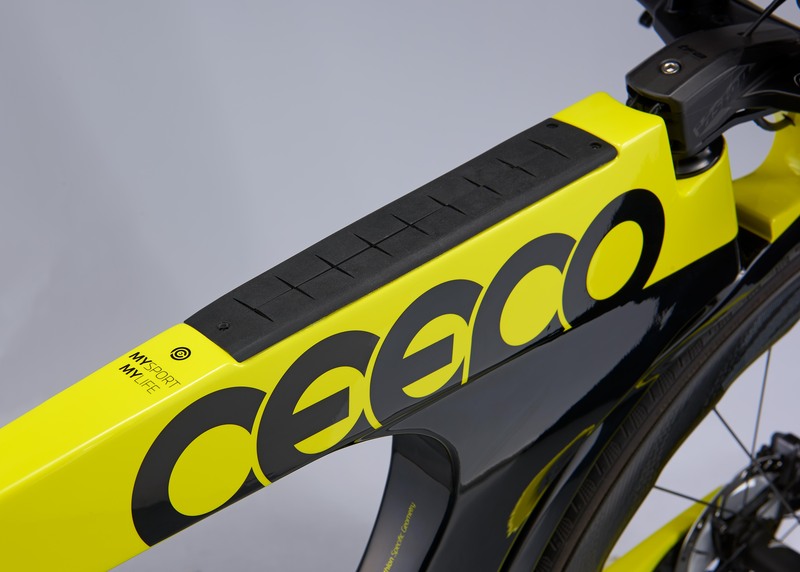 (Ceepo believes in the next generation they can get this weight down). Speaking of size medium – the size medium and large share the same design but the small has a small change to the bento box to accommodate a shorter standover height. 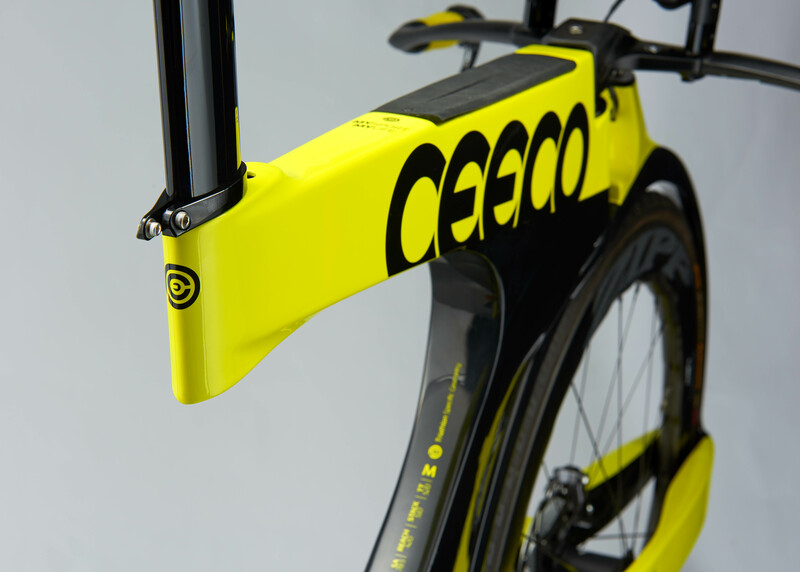 Ceepo also designed a special bag for the bike that only requires the removal of the rear wheel. It meets the 250cm airline regulations and will be available as an additional purchase. We had hoped at Kona to get aero. But we at least did get some pricing information. The Shadow R frame will be $6500 with planned delivery in November. Stay tuned though for that aero info because we still expect to get some soon. 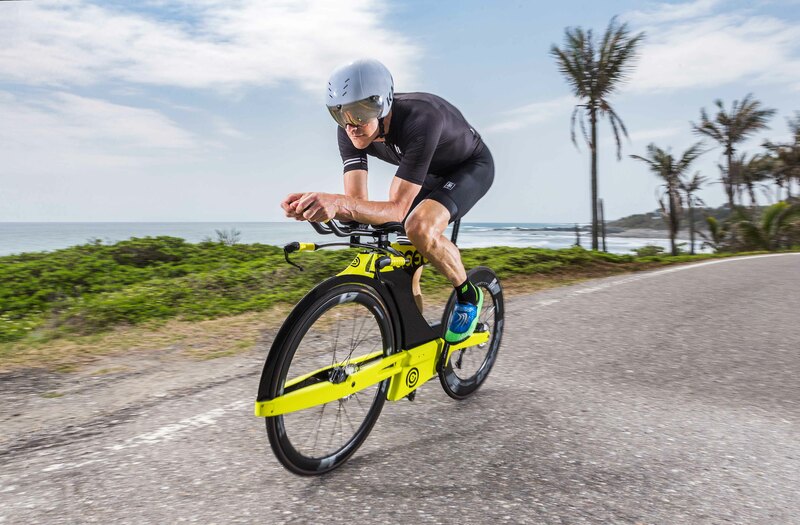 We love this bike and cannot wait to see Andy Potts rocking it on the Queen K. Yeah it is polarizing but this is taking triathlon tech as far as it has been before. We know it’s not for everyone and will hold our complete evaluation until we see aero data, price, and have some saddle time. But the Ceepo Shadow-R shows us just how far you can take a tri bike. 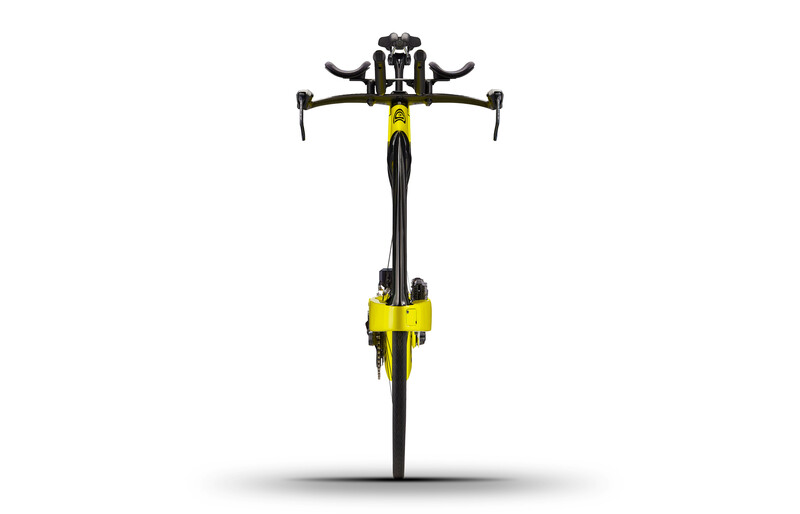 Stay tuned to AeroGeeks.com for continued Kona coverage and final aero and pricing details on the Shadow-R.
An over the top, radical design that may prove hard to look after for non-professional athletes. No doubt all those fairings add to the weight. It seems more like a concept bike than one that is usable in the real world by real people.